Surely John Scalzi is the author of which I have commented more books on the blog; novel that publishes, novel that I read. 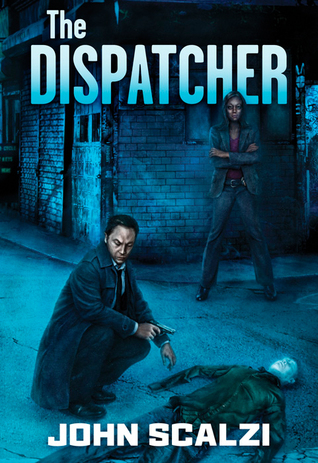 Today I present to you a novella, The dispatcher, that doesn't follow his habitual line of work. The plot is based on a surprising and inexplicable event: when a person is killed, after a few minutes his body disappears from the crime scene and appears naked in his bed alive and kicking. If you die of accident, illness or suicide this does not happen. Logically this causes major changes in society. 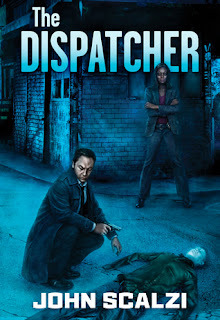 This premise allows Scalzi to create the figure of the Dispatcher, a killer who specializes in killing people just before they die from natural death or an accident. Although the figure is legalized and in principle controlled by an agency, it opens a wide range of possibilities of action of this occupation in no regulated and hidden situations. Scalzi squeezes this field of action and presents a great variety of situations, using his great imaginative capacity. The story begins when a Dispatcher is kidnapped, and the police asks one of their companions for help in conducting the investigation. I said at the beginning that this novel escapes its usual line, since it is a typical detective story, and Scalzi is specialized in Space-opera. As usual in his work, the story is explained mainly through the dialogue between the characters, Scalzi is a master in this resource. Humor, another specialty of the house, is also present, although less than in other of his books, and is more black humour. In short, a very entertaining novella with a very original premise to which the author knows how to extract the juice (although it gives for much more, I would like to visit this scenario again). Totally recommended.